Negotiations on the EU-Vietnam Free Trade Agreement have reached their final discussions, with talks expected to be wrapped up by June. EU-MUTRAP technical assistant team leader Claudio Dordi analyses the hallmark agreement’s potential impacts on Vietnam’s economy. Negotiations for a European Union-Vietnam Free Trade Agreement are likely to be concluded soon and EU-MUTRAP conducted a study assessing the potential impact of the agreement on the Vietnamese economy. In the absence of official data and text, due to the confidentiality of negotiations, MUTRAP experts have issued an assessment based on recent FTAs concluded by the two parties to determine the likely scenarios regarding tariff liberalisation as well as deadlines and other commitments. The European Union is a major trading partner for Vietnam, with Vietnamese exports reaching €21.3 billion in 2013. About a quarter of Vietnam’s exports go to the EU, while 13% of Vietnam’s imports originate from the EU. As a result, Vietnam has witnessed a trade surplus in goods with the EU, which has been growing over time. Since 2009, exports to the EU have grown by a phenomenal rate of 28% per year, while imports from the EU have grown by 11% a year. Major exports to the EU include electronics, footwear, furniture, frozen fish, and coffee, whereas the major imports are aircraft, cruise ships, motor vehicles (especially components) and manufactured goods. 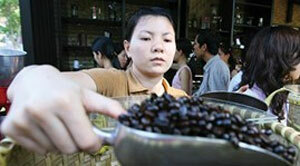 Vietnam’s simple average tariff applied to EU products reached 10.4% in 2013. A few minor products retain tariff rate quotas, such as those relating to eggs, sugar, tobacco, and salt. EU exporters to Vietnam also face significant barriers on specific items, most notably on alcohol and tobacco products (up to 100%) and motor vehicles, especially motorcycles. Livestock products also face a significant tariff, as do some textiles. Vietnam’s merchandise exports to the EU face an average tariff of 4.6%, but this hides a number of tariff peaks. Taking into account the volume of trade flows, the most significant tariffs in the EU are on textiles and clothing, footwear and frozen fish fillets – sectors where Vietnam enjoys very high comparative advantage (more than 10% on average). Despite relatively low tariffs, there are a number of measures applied by both parties (for example, technical regulations on the import of agri-food products and other non-tariff barriers) which restrict trade and investment. Although the EU and Vietnam have undertaken significant commitments at the World Trade Organization (WTO) to liberalise trade in services, there are still important obstacles to promote trade and investment of services. In particular, Vietnam maintains significant restrictions on foreign companies providing services in some sectors. The FTA agreement is expected to cover, at a minimum, the following areas: (i) Market access for trade in goods: elimination of tariff and non-tariff measures, addressing sanitary and phyto-sanitary and technical barriers to trade issues, trade facilitation and customs co-operation, and rules of origin; (ii) Commitments for liberalisation of trade in services; (iii) Investment; (iv) Competition; (v) Intellectual property rights, including geographical indications; (vi) Government procurement; (vi) Regulatory environment; (viii) Sustainable development, including labour issues; and (ix) State-owned enterprises. The study estimated that Vietnam is projected to grow significantly as a result of inflows of capital and on-going productivity improvements. The FTA is estimated to generate an additional 7-8% of gross domestic product above the trend growth rate until 2025 (cumulative). Depending on the different scenarios identified (from the protectionist to the liberal one) Vietnam’s exports to the EU are estimated to increase from 50 to 93% by 2020 (cumulative, meaning from 4 to 8% yearly), while the import growth of EU exports to Vietnam would be around 43%. These would be additional increases to a situation without the FTA. As many tariff reductions will likely be implemented in 2025, a further boost is expected in the five years after 2020. The major sectors to benefit from an FTA are textiles, clothing and footwear (TFC) and food products. TCF comprise 30% of Vietnam’s merchandise exports but 50% of Vietnam’s exports to the EU. The major exported products benefitting from the FTA are shrimp and catfish. Vietnam has a virtual monopoly on the export of catfish, accounting for 99% of world trade. Vietnamese TFC exports to the EU are expected to more than double in 2020 as a result of the FTA. The increase of exports to the EU will only in part be a re-direction of exports to other countries (as it will become more convenient to export to the EU with respect to other countries). Indeed, the outputs (and not only exports) of all sectors will increase; for example there will likely be a 35% increase in leather and 25% in apparel. The study indicates significant improvements in bilateral trade, particularly in transport and communications (especially from the EU to Vietnam). The FTA adds 10 to 20 percentage points to growth in bilateral trade. For example, the retail and wholesale trade sector shows an increased potential in EU exports to Vietnam of 46% by 2020 (35% thanks to the FTA). In general, increased exports of high-tech and efficient services from the EU is particularly relevant for Vietnam; increasing the domestic competition in services and improving the quality of services available to national and foreign companies will also have a huge impact on the manufacture of goods, particularly costs. The final production costs of goods include important percentages (up to 30%) of costs related to services, for example transport, distribution, logistics, financial, accounting and legal. 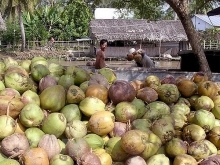 Government purchases in Vietnam account for around 4% of all purchases. This is similar to other developing countries such as Malaysia and Indonesia, but well below developed country standards. Looking at the international available data of cost of inputs for firms and government, it is apparent that the government is more reliant on domestic sources. The share of imports is 9% for government purchases and 33% for business purchases. As Vietnam is not member of the WTO agreement on government procurement, it still applies discriminatory procurement policies against foreign companies, generally to promote local industries. However, besides its inefficiencies, this system is criticised as it promotes corruption. Opening government procurement to EU companies will raise the competition in the national market, improve efficiency, and likely reduce corruption. Data implies a huge positive impact on the Vietnamese economy, especially exports. However, the results could be even greater. 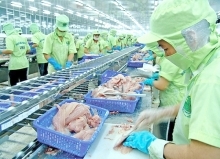 In many sectors Vietnam is almost a pure transformer, meaning that Vietnamese factories produce final goods with high imported content, and most of the Vietnamese production enters the EU market under major EU trademarks. Vietnamese producers often act as mere suppliers to well-known foreign trademarks. 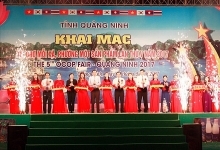 The value remaining in Vietnam is very low, and Vietnamese products distributed in the EU and other markets are not well-known. It is therefore important to exploit the opportunities offered by the FTA, to promote branding at a national and product level, to improve product recognition among European consumers. 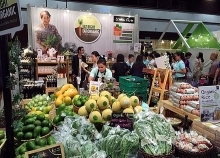 Then it will be possible for Vietnamese companies, to “capture” the value produced after the products leave the factory and are distributed to the wholesale or retail EU markets.